It’s the end of an era. General Motors (GM) has operated in Oshawa, Ont., for 100 years. After the automaker opened a second, larger plant in 1953, it became a major employer in the area. In the 1980s, it further expanded its operations, making several models and employing around 23,000 people. Today, GM currently employs about 4,000 people in Oshawa — 2,500 at its main assembly plant. But the company has announced that about a year from now, that number of employees will be drastically reduced. Such an announcement is always devastating to the community — GM is the largest employer in Oshawa and has been for most of its time there — and the economic impacts are bound to be significant. Unifor, the union representing GM employees, is vowing to fight the plant closure, but it’s unlikely it can do much, unless something changes radically. But what can GM’s employees expect to get from the company when it shutters the Oshawa plant? There are definitely rules and legal procedures that GM must follow. The plant closure definitely qualifies as a mass termination, which has specific rules under the Ontario Employment Standards Act, 2000. The act defines a mass termination as the termination of the employment of 50 or more employees within a four-week period — GM estimates that nearly 3,000 employees, including all of its assembly plant workers, will be affected. In a mass termination, the amount of reasonable notice of termination is not determined by employees’ length of service, but rather by how many employees are being let go. If more than 500 employees are being termination, the act requires the employer to provide 16 weeks’ notice. Now, at this point, GM has indicated it will no longer be manufacturing product in Oshawa past the end of 2019. That’s more than a year from now. However, there’s been no indication if an actual date has been determined for the shut-down and if that’s the case, no termination date has been set yet — and the notice period hasn’t yet begun. But it’s likely the plant shutdown date will become known well in advance of 16 weeks before the end of next year. But that’s not all to which GM workers will be entitled. Ontario’s employment standards legislation also provides for severance pay, where, in the event of a permanent closure of a business that severs the employment of 50 or more workers in a six-month period, employees with at least five years of employment with the employer get severance pay on top of their notice or pay in lieu of notice. Severance pay must be equal to one week’s regular pay for every year of service, up to a maximum of 26 weeks. So, for example, under Ontario’s legal requirements, a GM employee with 20 years of service is entitled to 20 weeks’ severance pay along with 16 weeks’ notice of termination (or pay in lieu of). However, it’s important to note that these are the minimum legal requirements for termination and severance pay. Most employees would be entitled to even more notice under the principles of common law notice. There are many factors that come into play when calculating common law notice, but courts often award close to one month’s pay for every year of service – though emphasizing this isn’t a “rule of thumb.” So long-term employees could be deserving of a lot of money. Complete closures of locations and the termination of all or most employees are always costly for employers, and in cases where an entire company is closing down, sometimes employees can have a hard time getting all to which they’re entitled. 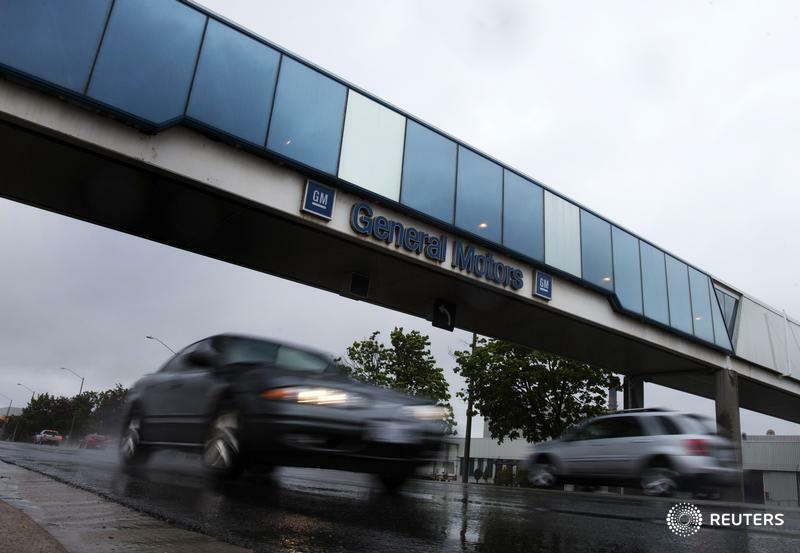 But GM is a big company and its only closing down the Oshawa plant — along with a few in the U.S. — so it will still be around to pay out termination and severance packages. And it’s likely GM has factored this into their plans and may be planning on offering packages similar to common law notice entitlement. But it’s a big plan to figure out and the company must meet the special requirements for such mass terminations. GM has turned down a road that is going to be a bumpy one for itself and its Oshawa employees over the next year. It’s not likely its union, employees, or government can do much to change that course. But they can make sure the automaker sticks to its legal obligations to the workers who will be left behind when the last vehicle rolls of the assembly line in Oshawa.